Dental Up is your source for everything dental. Shaun Keating and Clinical Guests talk truth and analytics in a no holds barred approach with topics that include: Industry standards, innovations, education, technology and patient care. 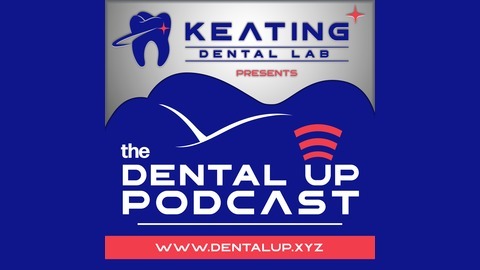 Our guest host Bob Brandon sits down with Steve Tapie Implant Manager and Dean Tassey CAD/CAM Manager, both from Keating Dental Arts. They discuss and pinpoint some Digital Tips and Techniques that Keating Dental Arts is utilizing to fabricate High-Quality Restorations. They talk about the surge in monolithic, modeless restorations; they provide a quick walk through on how a Digital Customer takes a scan for an implant case and the new focus on Digital Denture fabrications. All this and much more! 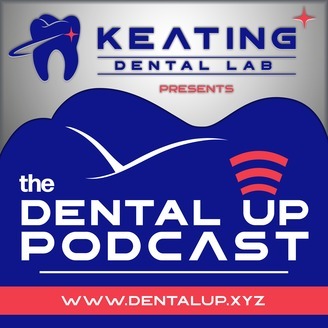 On this week’s episode of the Dental Up Podcast! Things you’ll hear on this podcast:. - The Surge in monolithic, modeless restorations. -Is there a fabrication limit when it comes to Digital Scans? -Walk-through on how a Digital Customer takes a scan for an implant case. -What we are doing with Angle Corrected Abutments and Monolithic Screw Retained Restorations. -Keating’s use of Carbon Printers.